The most obvious advantage of steel building insulation is it protects you from the cold. 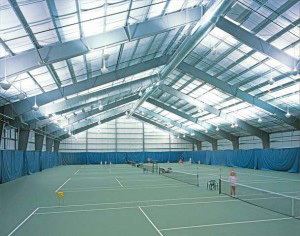 Steel building – while sturdy and resilient – are susceptible to extreme heat and cold unless insulated. In the winter cold air, draft and condensation from snow can easily drop the building’s temperature. This makes for an uncomfortable and potentially hazardous environment. Temperatures below freezing are no joke and your steel building must be properly equipped to handle it. Without proper insulation you can still make use of a steel building during the winter by making use of a heating system. However, this soon becomes an uncomfortable and expensive proposition. Running a heating unit or space heater in an uninsulated building means they will have to be run nearly constantly to keep the temperature up. The electrical cost for this quickly adds up. Also without insulation the building itself quickly loses heat meaning that when turned off the temperature quickly drops. Insulation overall is cheaper, easier to live with, and doesn’t require constant heating equipment usage and upkeep to be effective. Properly installed steel building insulation also protects against moisture buildup and condensation. In the winter melting snow can cause a great deal of structural damage to the building’s framework if it seeps in from the outside. Insulation helps prevent this as it blocks moisture and prevents condensation from weakening the structure. While the main purpose of steel building insulation is mainly in protecting the building and keeping the temperature stable it has other advantages. One of these is it reduces the noise level. Insulation has a natural sound dampening effect. If your steel building is used for construction projects or mechanical work, then the noise reduction can keep nearby neighbours and businesses happy. The opposite is also true; if you need your steel building to decrease or block noise from entering the building. Contact Toro Steel Buildings for more information about insulation options and other accessories for your steel building. Whether you’re steel building is for a garage, storage, barn, grain shed, warehouse, or used as a hangar, insulation will improve the condensation, energy costs and noise control. Don’t settle for less!